This is a really cool and striking black dog Bow Tie! 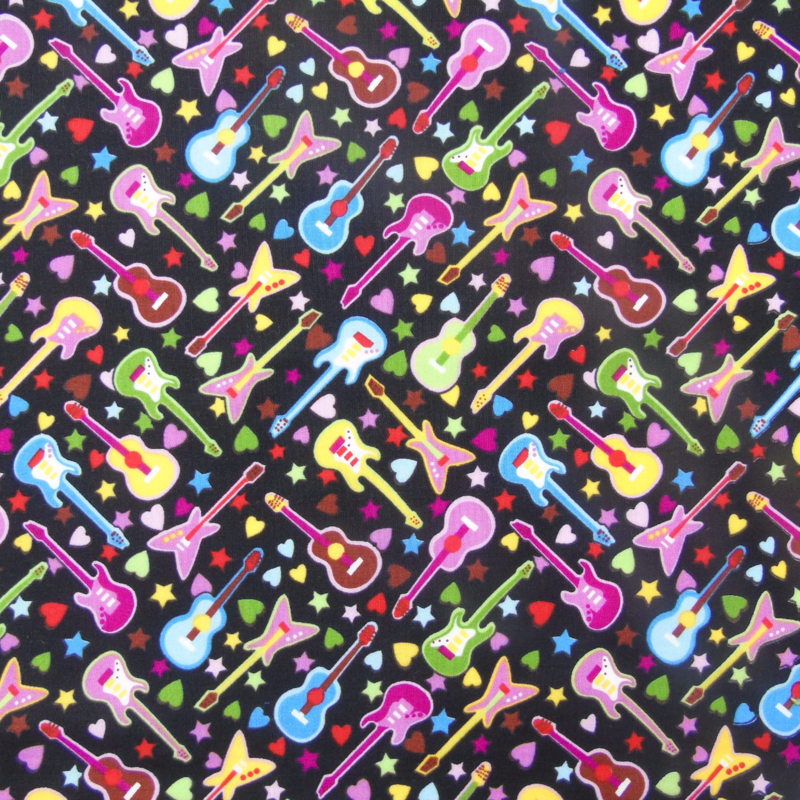 It's decorated with brightly coloured rock guitars in a variety of colours. The design also incorporates hearts and stars, and it's perfect for any dog who likes to be the centre of attention. It's a great Bow Tie for wearing at festivals and parties, and is a lovely quality 100% cotton fabric.